When I read this article by Dietrich von Hildebrand 9 years ago is when my blindness was taken away. Hopefully you will take the short time to read this brilliant and holy man’s article. The arguments for the New Liturgy have been neatly packaged, and may now be learned by rote. The new form of the Mass is designed to engage the celebrant and the faithful in a communal activity. In the past the faithful attended Mass in personal isolation, each worshipper making his private devotions, or at best following the proceedings in his missal. Today the faithful can grasp the social character of the celebration; they are learning to appreciate it as a community meal. Formerly, the priest mumbled in a dead language, which created a barrier between priest and people. Now everyone speaks in English, which tends to unite priest and people with one another. In the past the priest said Mass with his back to the people, which created the mood of an esoteric rite. Today, because the priest faces the people, the Mass is a more fraternal occasion. In the past the priest intoned strange medieval chants. Today the entire assembly sings songs with easy tunes and familiar lyrics, and is even experimenting with folk music. The case for the new Mass, then, comes down to this: it is making the faithful more at home in the house of God. Moreover, these innovations are said to have the sanction of Authority: they are represented as an obedient response to the spirit of the Second Vatican Council. 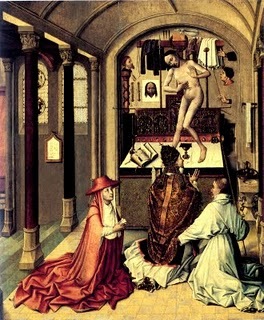 This is said notwithstanding that the Council’s Constitution on the Liturgy goes no further than to permit the vernacular Mass in cases where the local bishop believes it desirable; the Constitution plainly insists on the retention of the Latin Mass, and emphatically approves the Gregorian chant. But the liturgical “progressives” are not impressed by the difference between permitting and commanding. Nor do they hesitate to authorize changes, such as standing to receive Holy Communion, which the Constitution does not mention at all. The progressives argue that these liberties may be taken because the Constitution is, after all, only the first step in an evolutionary process. And they seem to be having their way. It is difficult to find a Latin Mass anywhere today, and in the United States they are practically non-existent. Even the conventual Mass in monasteries is said in the vernacular, and the glorious Gregorian is replaced by insignificant melodies. My concern is not with the legal status of the changes. And I emphatically do not wish to be understood as regretting that the Constitution has permitted the vernacular to complement the Latin. 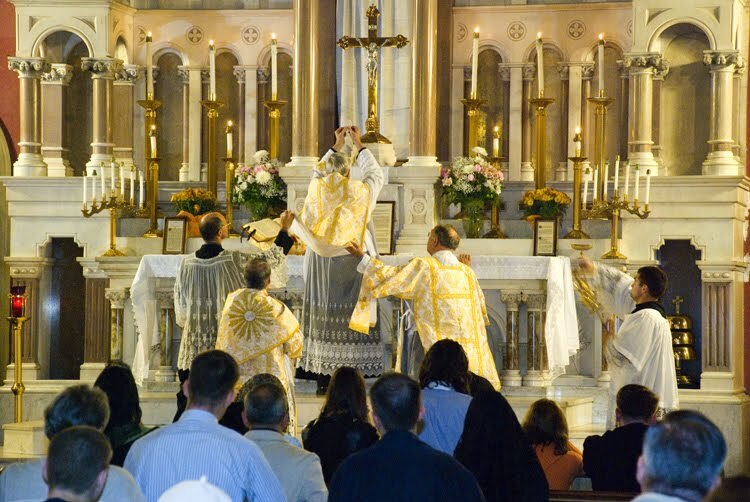 What I deplore is that the new Mass is replacing the Latin Mass, that the old liturgy is being recklessly scrapped, and denied to most of the People of God. I should like to put to those who are fostering this development several questions: Does the new Mass, more than the old, bestir the human spirit–does it evoke a sense of eternity? Does it help raise our hearts from the concerns of everyday life–from the purely natural aspects of the world–to Christ? Does it increase reverence, an appreciation of the sacred? Of course these questions are rhetorical, and self-answering. I raise them because I think that all thoughtful Christians will want to weigh their importance before coming to a conclusion about the merits of the new liturgy. What is the role of reverence in a truly Christian life, and above all in a truly Christian worship of God? Reverence gives being the opportunity to speak to us: The ultimate grandeur of man is to be capax Dei. Reverence is of capital importance to all the fundamental domains of man’s life. 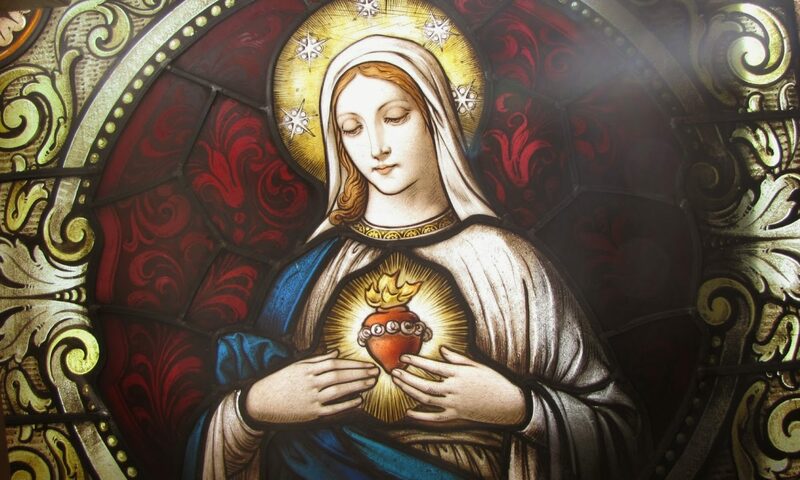 It can be rightly called “the mother of all virtues,” for it is the basic attitude that all virtues presuppose. The most elementary gesture of reverence is a response to being itself. It distinguishes the autonomous majesty of being from mere illusion or fiction; it is a recognition of the inner consistency and positiveness of being–of its independence of our arbitrary moods. Reverence gives being the opportunity to unfold itself, to, as it were, speak to us; to fecundate our minds. Therefore reverence is indispensable to any adequate knowledge of being. The depth and plenitude of being, and above all its mysteries, will never be revealed to any but the reverent mind. Remember that reverence is a constitutive element of the capacity to “wonder,” which Plato and Aristotle claimed to be the indispensable condition for philosophy. Indeed, irreverence is a chief source of philosophical error. But if reverence is the necessary basis for all reliable knowledge of being, it is, beyond that, indispensable for grasping and assessing the values grounded in being. Only the reverent man who is ready to admit the existence of something greater than himself, who is willing to be silent and let the object speak to him–who opens himself–is capable of entering the sublime world of values. Moreover, once a gradation of values has been recognized, a new kind of reverence is in order–a reverence that responds not only to the majesty of being as such, but to the specific value of a specific being and to its rank in the hierarchy of values. And this new reverence permits the discovery of still other values. Man reflects his essentially receptive character as a created person solely in the reverent attitude; the ultimate grandeur of man is to be capax Dei. Man has the capacity, in other words, to grasp something greater than himself, to be affected and fecundated by it, to abandon himself to it for its own sake–in a pure response to its value. This ability to transcend himself distinguishes man from a plant or an animal; these latter strive only to unfold their own entelechy. Now: it is only the reverent man who can consciously transcend himself and thus conform to his fundamental human condition and to his metaphysical situation. Do we better meet Christ by soaring up to Him, or by dragging Him down into our workaday world? The irreverent man by contrast, approaches being either in an attitude of arrogant superiority or of tactless, smug familiarity. In either case he is crippled; he is the man who comes so near a tree or building he can no longer see it. Instead of remaining at the proper spiritual distance, and maintaining a reverent silence so that being may speak its word, he obtrudes himself and thereby, in effect, silences being. In no domain is reverence more important than religion. As we have seen, it profoundly affects the relation of man to God. But beyond that it pervades the entire religion, especially the worship of God. There is an intimate link between reverence and sacredness: reverence permits us to experience the sacred, to rise above the profane; irreverence blinds us to the entire world of the sacred. Reverence, including awe-indeed, fear and trembling-is the specific response to the sacred. Rudolf Otto has clearly elaborated the point in his famous study, The Idea of the Holy. Kierkegaard also calls attention to the essential role of reverence in the religious act, in the encounter with God. And did not the Jews tremble in deep awe when the priest brought the sacrifice into the sanctum sanctorum? Was Isaiah not struck with godly fear when he saw Yahweh in the temple and exclaimed, “Woe is me, I am doomed! For I am a man of unclean lips . . . yet my eyes have seen the King?” Do not the words of St. Peter after the miraculous catch of fish, “Depart from me, 0 Lord, because I am a sinner,” testify that when the reality of God breaks in upon us we are struck with fear and reverence? Cardinal Newman has shown in a stunning sermon that the man who does not fear and revere has not known the reality of God. When St. Bonaventure writes in Itinerarium Mentis ad Deum that only a man of desire (such as Daniel) can understand God, he means that a certain attitude of soul must be achieved in order to understand the world of God, into which He wants to lead us. This counsel is especially applicable to the Church’s liturgy. The sursum corda–the lifting up of our hearts–is the first requirement for real participation in the Mass. Nothing could better obstruct the confrontation of man with God than the notion that we “go unto the altar of God” as we would go to a pleasant, relaxing social gathering. This is why the Latin Mass with Gregorian chant, which raises us up to a sacred atmosphere, is vastly superior to a vernacular Mass with popular songs, which leaves us in a profane, merely natural atmosphere. The basic error of most of the innovations is to imagine that the new liturgy brings the holy Sacrifice of the Mass nearer to the faithful, that shorn of its old rituals the Mass now enters into the substance of our lives. For the question is whether we better meet Christ in the Mass by soaring up to Him, or by dragging Him down into our own pedestrian, workaday world. The innovators would replace holy intimacy with Christ by an unbecoming familiarity. The new liturgy actually threatens to frustrate the confrontation with Christ, for it discourages reverence in the face of mystery, precludes awe, and all but extinguishes a sense of sacredness. What really matters, surely, is not whether the faithful feel at home at Mass, but whether they are drawn out of their ordinary lives into the world of Christ–whether their attitude is the response of ultimate reverence: whether they are imbued with the reality of Christ. Those who rhapsodize on the new liturgy make much of the point that over the years the Mass had lost its communal character and had become an occasion for individualistic worship. The new vernacular Mass, they insist, restores the sense of community by replacing private devotions with community participation. Yet they forget that there are different levels and kinds of communion with other persons. The level and nature of a community experience is determined by the theme of the communion, the name or cause in which men are gathered. The higher the good which the theme represents, and which binds men together, the more sublime and deeper is the communion. The ethos and nature of a community experience in the case of a great national emergency is obviously radically different from the community experience of a cocktail party. And of course the most striking differences in communities will be found between the community whose theme is supernatural and the one whose theme is merely natural. The actualization of men’s souls who are truly touched by Christ is the basis of a unique community, a sacred communion, one whose quality is incomparably more sublime than that of any natural community. The authentic we communion of the faithful, which the liturgy of Holy Thursday expresses so well in the words congregavit nos in unum Christi amor, is only possible as a fruit of the I-Thou communion with Christ Himself. Only a direct relation to the God-Man can actualize this sacred union among the faithful. The communion in Christ has nothing of the self-assertion found in natural communities. It breathes of the Redemption. It liberates men from all self- centeredness. Yet such a communion emphatically does not depersonalize the individual; far from dissolving the person into the cosmic, pantheistic swoon so often commended to us these days, it actualizes the person’s true self in a unique way. In the community of Christ the conflict between person and community that is present in all natural communities cannot exist. So this sacred community experience is really at war with the depersonalizing ‘we-experience” found in Mass assemblies and popular gatherings which tend to absorb and evaporate the individual. This communion in Christ that was so fully alive in the early Christian centuries, that all the saints entered into, that found a matchless expression in the liturgy now under attack–this communion has never regarded the individual person as a mere segment of the community, or as an instrument to serve it. In this connection it is worth noting that totalitarian ideology is not alone in sacrificing the individual to the collective; some of Teilhard de Chardin’s cosmic ideas, for instance, imply the same collectivistic sacrifice. Teilhard subordinates the individual and his sanctification to the supposed development of humanity. At a time when this perverse theory of community is embraced even by many Catholics, there are plainly urgent reasons for vigorously insisting on the sacred character of the true communion in Christ. I submit that the new liturgy must be judged by this test: Does it contribute to the authentic sacred community? Granted that it strives for a community character; but is this the character desired? Is it a communion grounded in recollection, contemplation and reverence? Which of the two–the new Mass, or the Latin Mass with the Gregorian chant evokes these attitudes of soul more effectively, and thus permits the deeper and truer communion? Is it not plain that frequently the community character of the new Mass is purely profane, that, as with other social gatherings, its blend of casual relaxation and bustling activity precludes a reverent, contemplative confrontation with Christ and with the ineffable mystery of the Eucharist? Of course our epoch is pervaded by a spirit of irreverence. It is seen in a distorted notion of freedom that demands rights while refusing obligations, that exalts self-indulgence, that counsels “let yourself go.” The habitare secum of St. Gregory’s Dialogues–the dwelling in the presence of God–which presupposes reverence, is considered today to be unnatural, pompous, or servile. But is not the new liturgy a compromise with this modern spirit? Whence comes the disparagement of kneeling? Why should the Eucharist be received standing? Is not kneeling, in our culture, the classic expression of adoring reverence? The argument that at a meal we should stand rather than kneel is hardly convincing. For one thing, this is not the natural posture for eating: we sit, and in Christ’s time one lay down. But more important, it is a specifically irreverent conception of the Eucharist to stress its character as a meal at the cost of its unique character as a holy mystery. Stressing the meal at the expense of the sacrament surely betrays a tendency to obscure the sacredness of the sacrifice. This tendency is apparently traceable to the unfortunate belief that religious life will become more vivid, more existential, if it is immersed in our everyday life. But this is to run the danger of absorbing the religious in the mundane, of effacing the difference between the supernatural and the natural. I fear that it represents an unconscious intrusion of the naturalistic spirit, of the spirit more fully expressed in Teilhard de Chardin’s immanentism. Again, why has the genuflection at the words et incarnatus est in the Credo been abolished? Was this not a noble and beautiful expression of adoring reverence while professing the searing mystery of the Incarnation? Whatever the intention of the innovators, they have certainly created the danger, if only psychological, of diminishing the faithful’s awareness and awe of the mystery. There is yet another reason for hesitating to make changes in the liturgy that are not strictly necessary. Frivolous or arbitrary changes are apt to erode a special type of reverence: pietas. The Latin word, like the German Pietaet, has no English equivalent, but may be understood as comprising respect for tradition; honoring what has been handed down to us by former generations; fidelity to our ancestors and their works. Note that pietas is a derivative type of reverence, and so should not be confused with primary reverence, which we have described as a response to the very mystery of being, and ultimately a response to God. It follows that if the content of a given tradition does not correspond to the object of the primary reverence, it does not deserve the derivative reverence. Thus if a tradition embodies evil elements, such as the sacrifice of human beings in the cult of the Aztecs, then those elements should not be regarded with pietas. But that is not the Christian case. Those who idolize our epoch, who thrill at what is modern simply because it is modern, who believe that in our day man has finally “come of age,” lack pietas. The pride of these “temporal nationalists” is not only irreverent, it is incompatible with real faith. A Catholic should regard his liturgy with pietas. He should revere, and therefore fear to abandon the prayers and postures and music that have been approved by so many saints throughout the Christian era and delivered to us as a precious heritage. To go no further: the illusion that we can replace the Gregorian chant, with its inspired hymns and rhythms, by equally fine, if not better, music betrays a ridiculous self-assurance and lack of self-knowledge. Let us not forget that throughout Christianity’s history. silence and solitude, contemplation and recollection, have been considered necessary to achieve a real confrontation with God. This is not only the counsel of the Christian tradition, which should be respected out of pietas; it is rooted in human nature. Recollection is the necessary basis for true communion in much the same way as contemplation provides the necessary basis for true action in the vineyard of the Lord. A superficial type of communion–the jovial comradeship of a social affair–draws us out onto the periphery. A truly Christian communion draws us into the spiritual deeps. Of course we should deplore excessively individualistic and sentimental devotionalism, and acknowledge that many Catholics have practiced it. But the antidote is not a community experience as such-any more than the cure for pseudo-contemplation is activity as such. The antidote is to encourage true reverence, an attitude of authentic recollection and contemplative devotion to Christ. Out of this attitude alone can a true communion in Christ take place. The fundamental laws of the religious life that govern the imitation of Christ, the transformation in Christ, do not change according to the moods and habits of the historical moment. The difference between a superficial community experience and a profound community experience is always the same. Recollection and contemplative adoration of Christ–which only reverence makes possible–will be the necessary basis for a true communion with others in Christ in every era of human history.